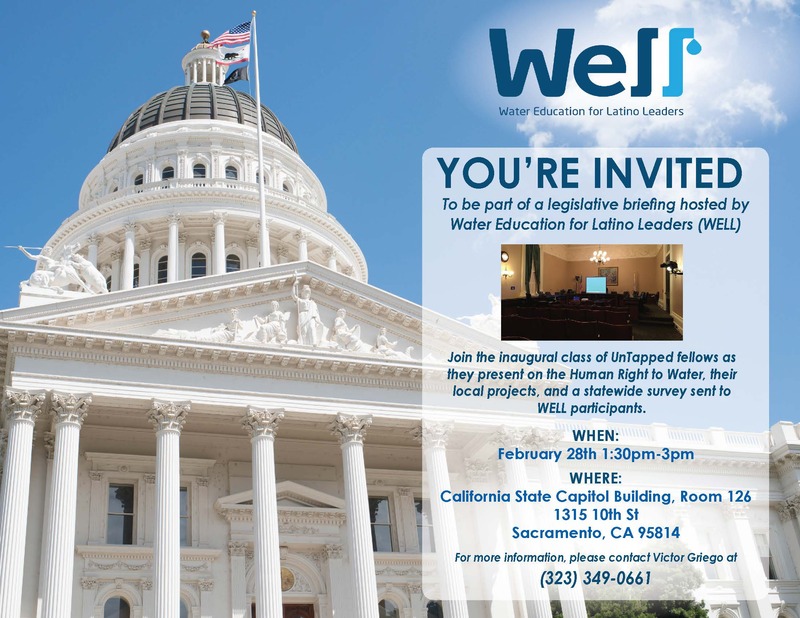 You are invited to be part of a legislative briefing hosted by Water Education for Latino Leaders (WELL). Join the inaugural class of UnTapped fellows as they present on the Human Right to Water, their local projects, and a statewide survey sent to WELL participants. When: February 28th, 2018 1:30 p.m. – 3:00 p.m.
For more information, please contact Victor Griego at (323) 349 – 0661.